Accept Your Power | Imagine Living Your Unique Life Purpose!!! Tired of Feeling Stuck and Frustrated with Your Life? Live Your Unique Life Purpose with Joy and Freedom! Wonder if there is a real purpose for your life? Dread going to work every day to a job that drains you and is non-fulfilling? Curious about past life regression and wonder how that impacts who you are now? Want to change careers, but are hesitant to take the chance? Feel alone and disconnected in your life journey? Feel there is more you should be doing with your life, but don’t know how to figure it? Going through a life transition – job change, relationship change, health challenge? A free spirit that is feeling restless? Utilizing your holistic gifts? Or do you put that part of you on the back burner? Bringing too many ANTS (automatic negative thoughts) at your picnic? Marking your heart sing with your career and social activities? Is being different really a bad thing? Do you really have to fit in? 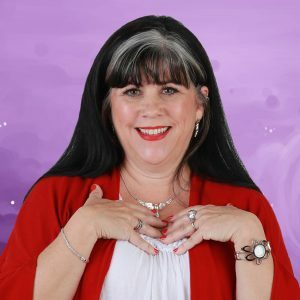 I am Deena Chester, Life Purpose Ignitor, Certified Hypnotherapist, Medical Qi Gong Instructor, Reiki Master, and Certified Transformational Life Coach. From my own journey and experience, I know how to help you take action and move forward. There is magic and freedom when you remember and live your Unique Life Purpose. My mission is to assist others to not only remember, but to live their Unique Life Purpose. My gift is to lead people to Accept Their Power and experience the Joy, Freedom, and Magic of truly living the life they were meant to live.